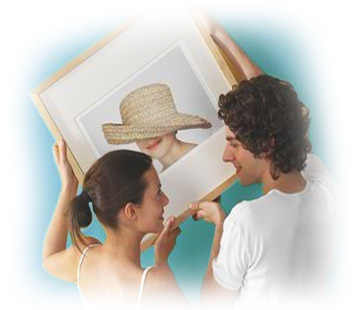 Do you have art with a frame that is not a match for your home or office? Have a piece of art at home and need a frame? Looking to hang some of your child's precious art work. Now is is as easy as 1, 2, 3 to build your own complete frame.